? 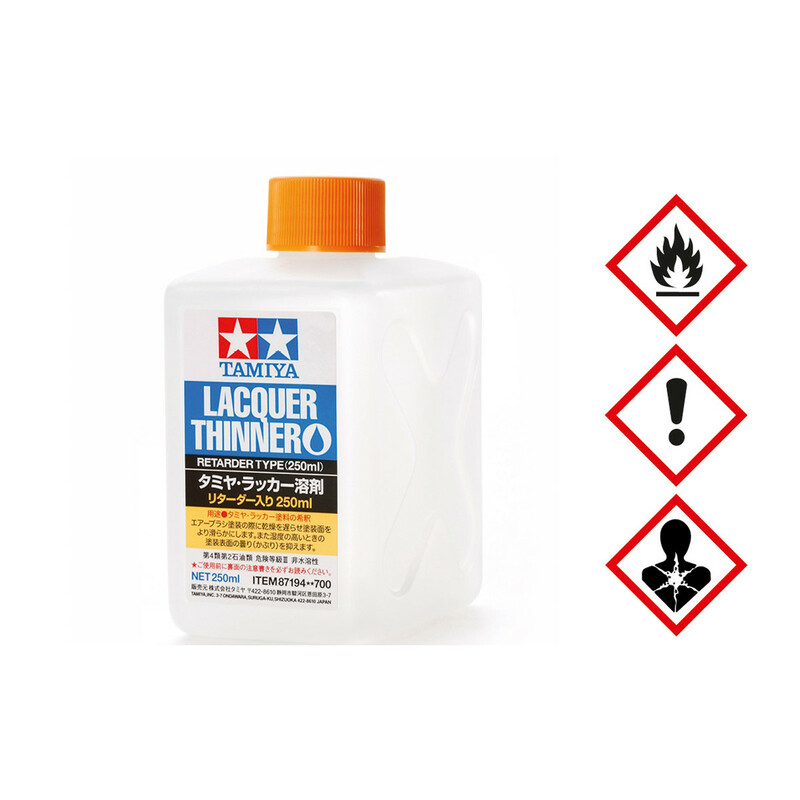 Can be used to thin Tamiya Color Lacquer Paints and Spray Paints, in a ratio of between 1:1 and 2:1 (thinner:paint).
? Retarder slows drying, particularly useful in cases such as that shown overleaf, when undesired overspray can ruin a glossy paint job if it dries before you can get to it.
? Helps to avoid blushing (when moisture gets trapped with paint and you end up with a foggy white finish) in humid conditions.